As many of you know, the average age of balloon pilots and crew throughout the country continues to rise. The CBA, BFA and other ballooning organizations are working together to bring more young people into the sport. One way this is being done is through Balloon Camps for youth 13-18 years of age. 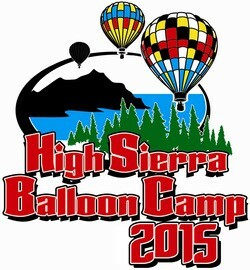 There will be two balloon camps in 2015, one in the east and one in the west. Both of these camps are BFA sanctioned, however; neither could be completed without dedicated volunteers and balloon clubs. 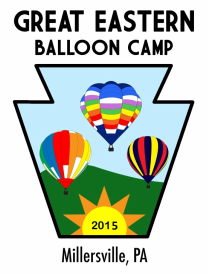 In 2015, the CBA decided to provide two scholarships to the BFA Great Eastern Balloon Camp to be held in Millersville, PA, July 12 –16. 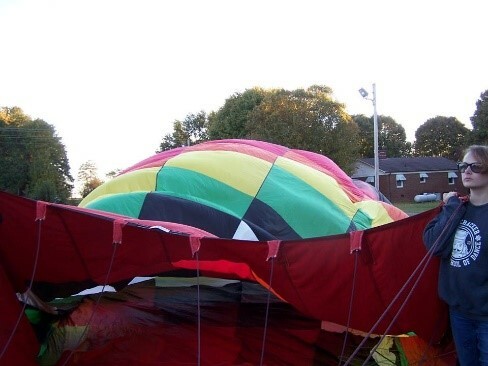 Katherine D. Stecker and John B. Daniels will be representing the CBA at the Great Eastern Balloon Camp. Both of these individuals have demonstrated an interest in ballooning and aviation in general. Each have been involved for several years and, with continued encouragement may continue into their adult lives as dedicated ballooning enthusiast. Katherine D. Stecker is 18 years old and lives in Troutman, NC where she lives with her mom (Jennifer) and younger brother Shane. She has interest in: Dance, Girl Scouts, Marching Band/Band Dancer, Color Guard, Aviation, Dance, Music, Science and Sewing. She will graduate next year from high school/early college program with a high school diploma and an Associates in Science, and is planning on attending Appalachian State University in the fall of 2016 and getting her BAS. She does several types of dance including, but not limited to, Ballet/Pointe, Jazz, Hip-Hop, Modern, lyrical, and Tap; She plays three different types of steel drums, and she is currently in the process of building her own RC hot air balloon for her Graduation Project. She placed second and third at the North Carolina Regional Science Fair in two different categories. Katherine started crewing with her mom Jennifer when she was a year and a half old and has been doing it ever since. She had her first flight when she was ten years old. Katherine has crewed for special shapes and a variety of different brands of balloons for many different pilots. She would like to become one of the youngest female pilots in North Carolina with her mom and younger brother Shane. John B. Daniels is 16 years old and lives in Fuquay-Varina, NC with his dad (Charles) and mom (Pam). He is a sophomore at Fuquay-Varina High School. As well as being an avid balloon enthusiast, he is also interested in various types of auto racing, to include but not limited to: NASCAR, Formula 1, IMSA/Tudor USCC and World Touring Car Championships. After high school, he hopes to attend Embry-Riddle Aeronautical University in order to gain his Airline Transport pilot rating and a degree in Aviation Business. 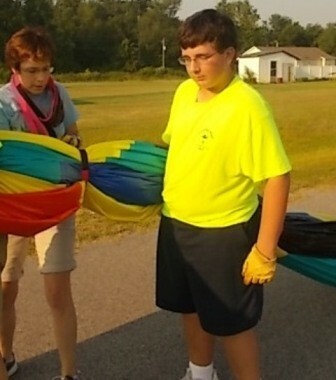 John’s first balloon flight came in 2005 and he started crewing along with his dad when he was 7 years old. From early on, he immediately started showing interest in ballooning. He has crewed for several pilots and has attended several festivals/rallies on the east coast. He has helped as crew for several pilots at the Victory Junction Gang camp on numerous occasions. He has earned his BFA Basic Crewmember Achievement ward and is well on his way to completing achievements in Senior and Crew Chief levels. We are sure that these two fine young people will represent the CBA well with their participation in the Great Eastern Balloon Camp. And, we would like to thank their parents for giving them support and encouragement to become involved in our great sport.